Order now and receive free freight! Every CONFAST® bits are in stock for immediate shipping. 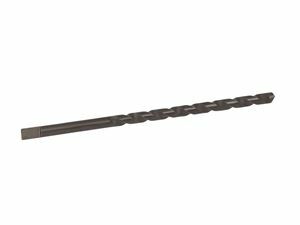 CONFAST® bits are carbide tipped bits that are used with a hammer drill in order to drill holes in masonry for expansion anchors. 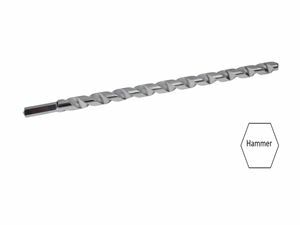 There are five different kinds of CONFAST® bits; each type of bit is designed to be used in specific hammer drill chucks. Hammer Bit - these bits have a smooth shank and are for use in hammer drills that utilize a chuck key to tighten the chuck. Sometimes called a Jacob style chuck, this type of chuck holds the bit tightly with rigidity. SDS - referred to as a quick disconnect chuck, theses bits are allowed to move in the chuck to provide extra hammering power and to decrease hammer time. This type of hammer drill also provides less vibration and more operator comfort. 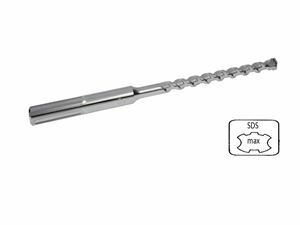 The shank size is about 3/8" and is standard among all SDS type hammer drills manufactured. 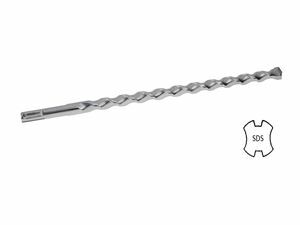 SDS MAX - using the same concept as the smaller SDS, these bits have a shank that is about 3/4" in diameter and fit into much larger hammer drills. These larger hammer drills weigh about 14 to 20 lbs. and designed for drilling larger holes in masonry. Bit size available in the SDS MAX range from 3/8" to 2". 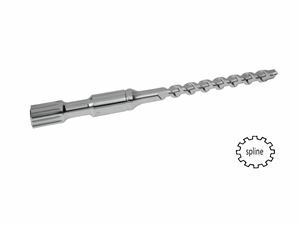 Spline - held in the chuck firmly, the splines on the shank of the bits line up with the splines in the chuck to give the hammer drill very positive rotation. The hammer drills utilizing the Spline shank are bigger with weights from 14 to 20 lbs., and with the compatible bits ranging from 3/8" to 2".